One of the main changes that you can make when refurbishing your kitchen comes from either upgrading or completely replacing your kitchen appliances. But while many might find the process to choose kitchen appliances boring, the reality is that it can be quite fun, as long as you follow our guide! 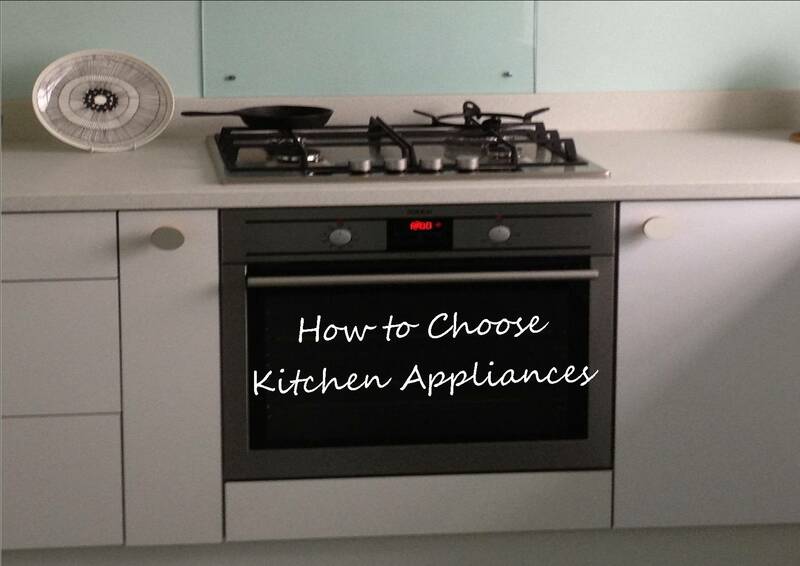 Before you move onward, you need to create a list with all those appliances that you want to upgrade. You have to obviously find some that suit your lifestyle, family requirements and needs, so make a note based on that right away. Washing dishes is a chore that no one really wants to do, so a dishwasher is basically one of those kitchen appliances that you need to have. Usually, a full sized dishwasher can work great for the large or medium families, on the other hand the slim dishwasher is suitable for those families which don’t have a lot of operational space in their home. You can also opt for an integrated dishwasher if you don’t really have a lot of space. Cookers are gas powered or electric, but at the same time they can also be free standing or built in. you can also opt for a commercial cooker, although the residential ones are also bringing in front plenty of interesting features as well. Make sure that you find one with a suitable size, and at the same time you will also need to think a little bit about the design, as that can matter for your family. Most of the time, the style of your fridge is very important, so figure out the style and material (which can be either plastic or aluminum). On top of that you have to see if you need a built-in freezer or you want a top/bottom freezer with a congelation unit. Then you can see if you want some of those added features like the water dispensers or ice makers, which can come in handy for your family as well. If you want to take away all the heat from the room while cooking, this is one of the kitchen appliances that you have to purchase. It can either recirculate the air, or it can vent it outside, so you should definitely keep that in mind as it can help you a lot when it comes to keeping fresh air inside your home. And these are the most important kitchen appliances that you need to purchase right now. Remember the fact that when you choose kitchen appliances you will have to focus on the design, features and budget, as these are crucial factors, but at the end of the day it all comes down if they can help you fulfill your needs, as that’s what matters the most!